Business ideas doomed to failure. – GoRocco.Pro – Coaching for Leaders, Founders, and Owners. Most businesses don’t survive, but there is a path to success, so read on! The other is, ‘Business Ideas Doomed to Failure’. 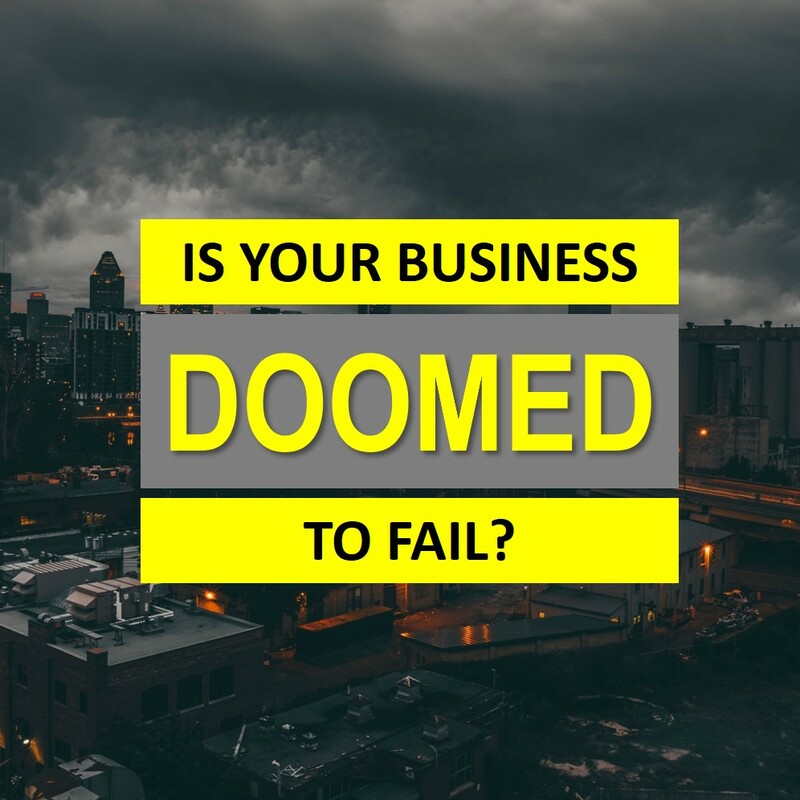 What business ideas would be doomed to failure? Are there certain ‘ideas’ predisposed to failure? There are so many different types of businesses. So many problems in need of smart solutions, that I struggle to find out what would be the common thread across the massive landscape of “ideas” that could doom a business to failure . . .
Maybe its not the idea that fails a business, but what then? Why do businesses fail? So I took a look at reasons why businesses fail to see if I could find some meaning there. The general wisdom (whatever that means) says that most businesses fail due to undercapitalization – not having enough money. Possibly. Another piece of general wisdom states that businesses fail because the timing is wrong, or there’s just not enough time to get things done. Also a possibility. But those two qualities aren’t really about business, they’re about priorities. We spend our money, and we spend our time. Money and time couldn’t be more different from each other, but yet we use the same verb for the deployment of both. So then logically, if the business fails for lack of money, or lack of time, then the failure really goes back to aligning priorities. But I think there’s an even simpler reason why businesses fail: The business offers a service or product that people don’t want to buy. Ok, let’s test the theory with a quick thought experiment: How much time and/or money do you really need if you have a line of customers out the door eager to trade money for your offering? There really isn’t much stopping you from being successful in that case is there? The real battle happens long before you set a budget, or a schedule. The real battle is in understanding the problem you’re trying to solve from your customer‘s point of view, and then offering a high-value solution at a smart price. However, simple is not easy. There’s nothing easy about this. So, if you’d like to know what kind of business ideas are doomed to failure, I will tell you that if you start with a product or solution in search of a customer, then that business will likely fail. This approach will likely cause you to run out of money and time before you are successful. However –> If you have a group of customers who are starving for the valuable solution you offer, and your solution is smartly priced, then your business has a great shot at success! Want growth? Take this this 10-minute assessment and schedule your FREE 30-minute discovery session with me! ← Ever feel like your day is drowning you?